These bites are mostly carbohydrates with a little protein and fat. 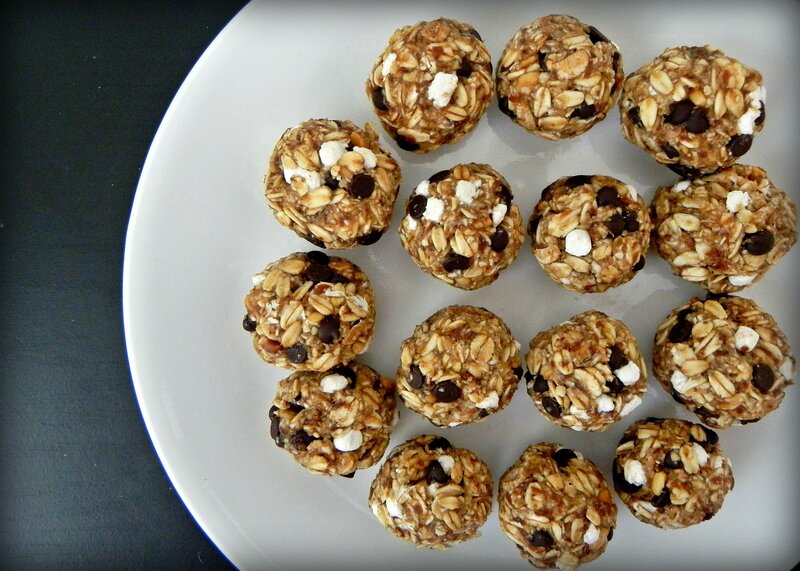 They make a great pre-workout snack to provide you with quick energy while stabilizing your blood sugar. Or enjoy them as a dessert after a meal composed mostly of protein and a little fat. Combine all ingredients through chocolate chips in a large bowl and stir until combined. Using a cookie scoop, scoop and roll dough into 20 balls. Place on a cookie sheet and freeze for 10-15 minutes. Store in the freezer and slightly thaw before serving. Bites can be stored in the freezer for up to 1 month (if they last that long! ).